Overstock Special! 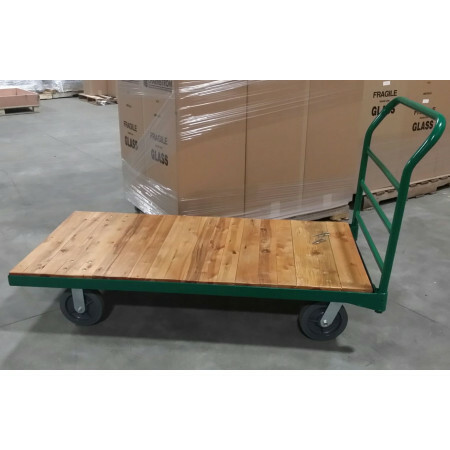 62"L Wood Platform Truck - Only 1 left! Overstock Special! 62"L Wood Platform Truck - Only 1 left!!! Perfect for warehouse for moving boxes. removable handle for storage. wood deck surface. Rolls on 8" casters. • Removable handle for storage. • Heavy duty metal frame. ** This is an overstock special, no returns ... shipping is additional.